By Angelina Cheung | 06:12 請按廣告以支持本站! 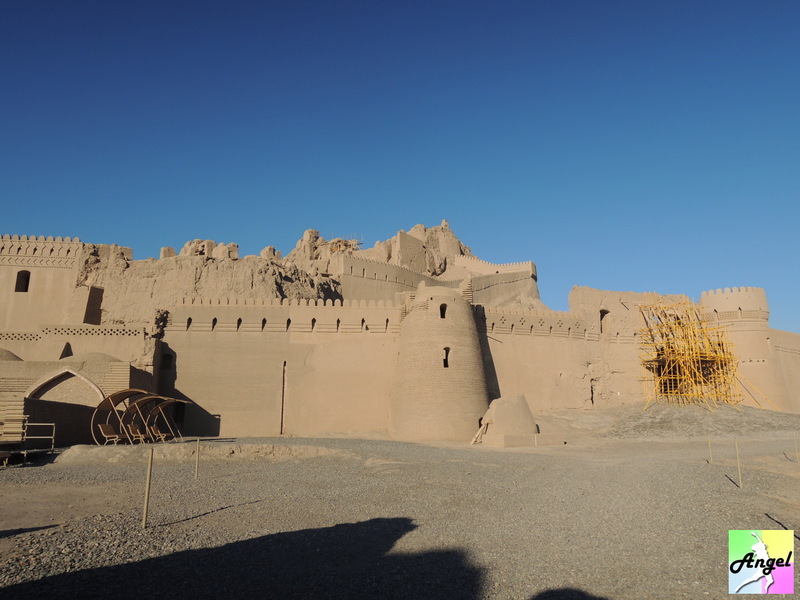 At first I came to here because of the spots nearby, like Meymand village (special cave house) and Kalouts/Kaluts (sand castle in desert). But lastly I didn’t go either. It is because only me travelling and it is not the peak season currently, it shall be expensive if I go alone. So I gave up and I only went to Bam to see the Ancient Bam (Arg-e Bam). However, I met a very good coushruing host called Meghdad. He lives with his wife and I and another Polish girl lived at their house. They are so hospitality that they took us to many places including those not in schedule. 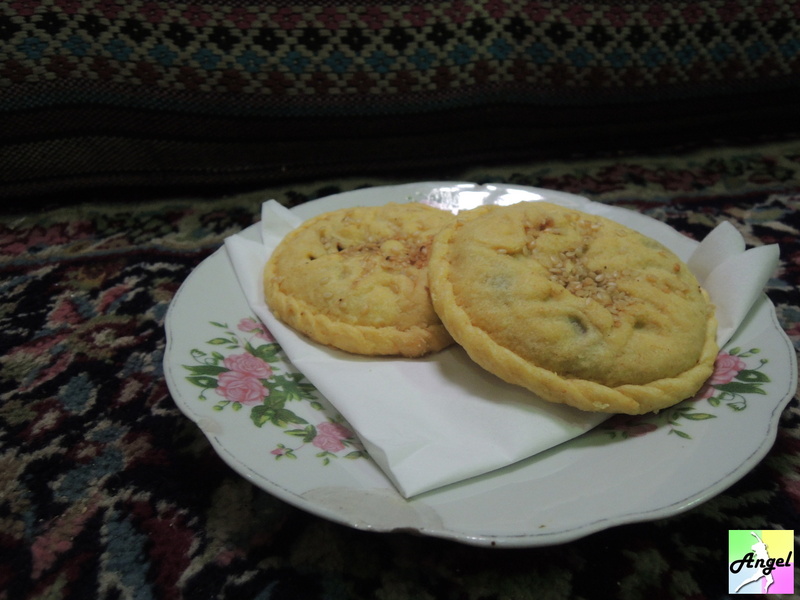 At Kerman we went to the bazaar (The whole structure is called Majmou-e-yeh Ganjali Khan, Ganjali Khan Complex), had shisha in the traditional Vakil Tea House (Chaykhaneh-ye Vakil), ate the date biscuits which only exist in Kerman and enjoyed the live traditional music. 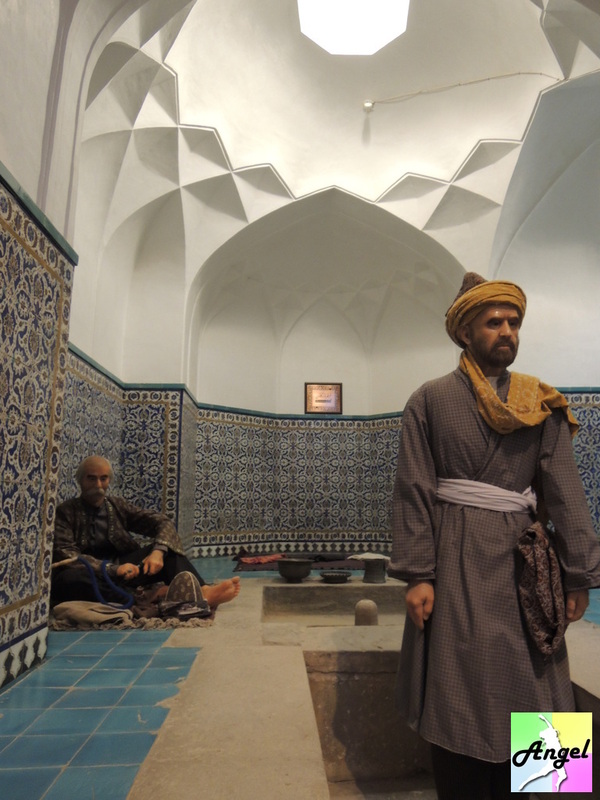 We also went to the museum of Ganjali Khan bath (Hamam-e Ganjali Khan) (IRR$10,000). Both tea house and museum are inside the Ganjali Khan Complex. 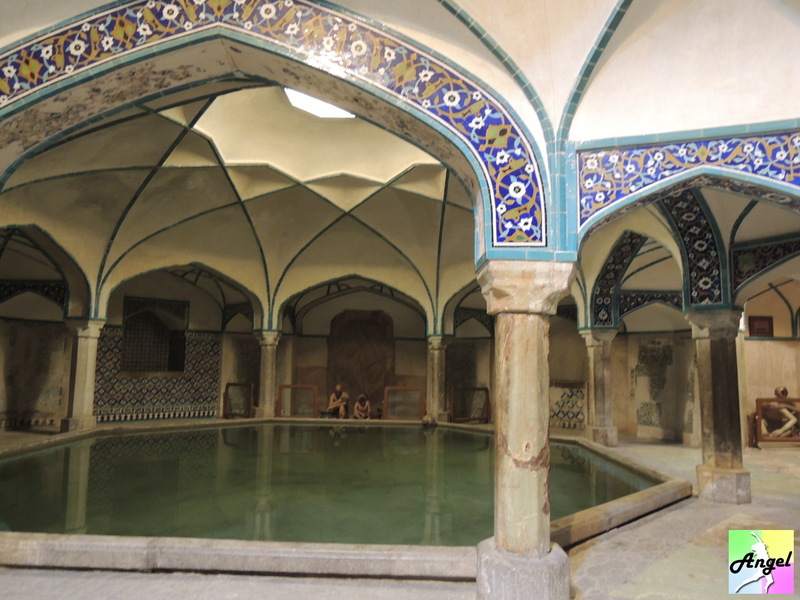 This bath house is not worth seeing; suggest to visit another bath house in Kashan which is much better. 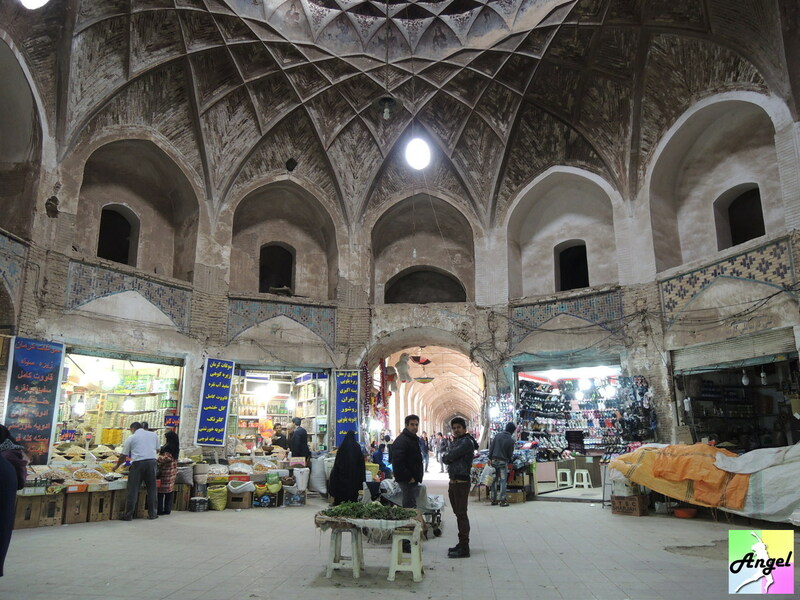 The first time in Iran seeing big bazaar (All the cities have bazaar, but the bazaar in Kerman is big and tidy, it is easy to know the direction). There are different alleys and there is one specifically selling products made in China. I think you can find products made in China everywhere in the world. Others are selling daily living products. 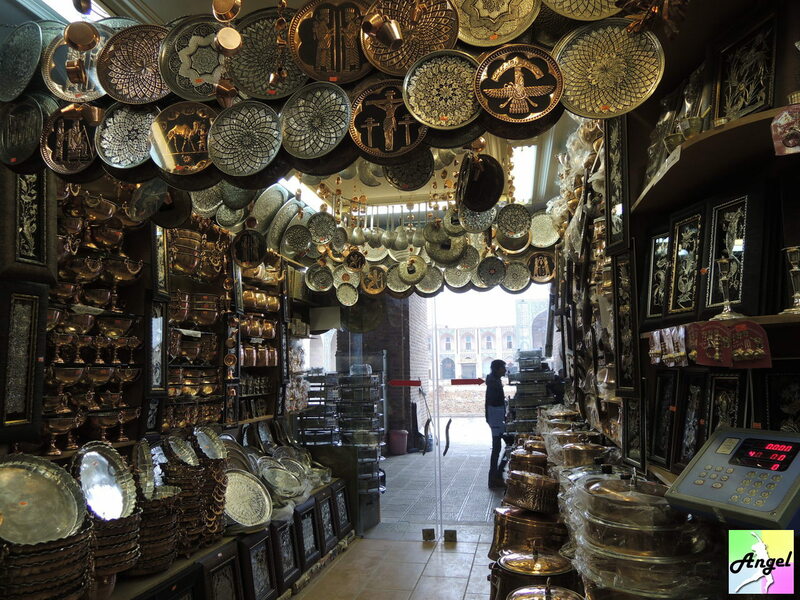 In Kerman, the famous product is metal decorative plate, they made by hand and one by one. 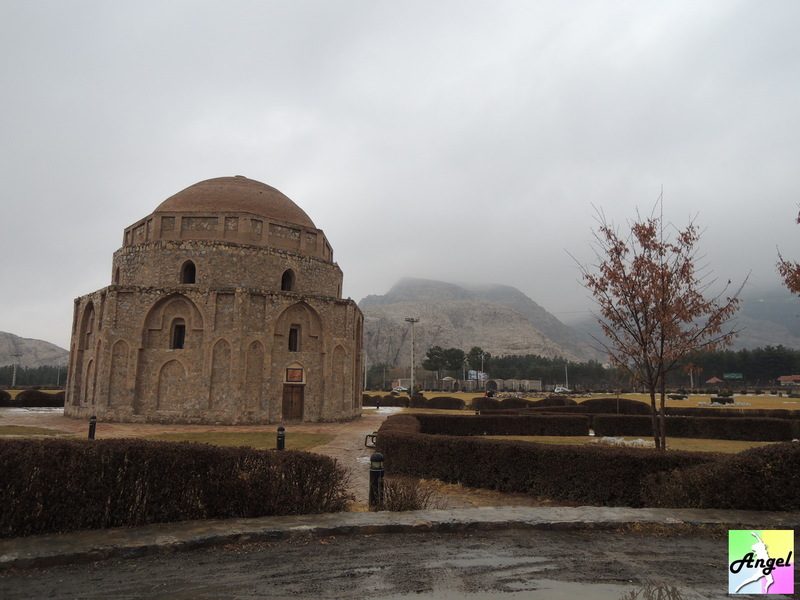 Meghdad even brought us to see the ancient Gonbad-e Jabaliye. What made it special is that the building material was not brick but stone. 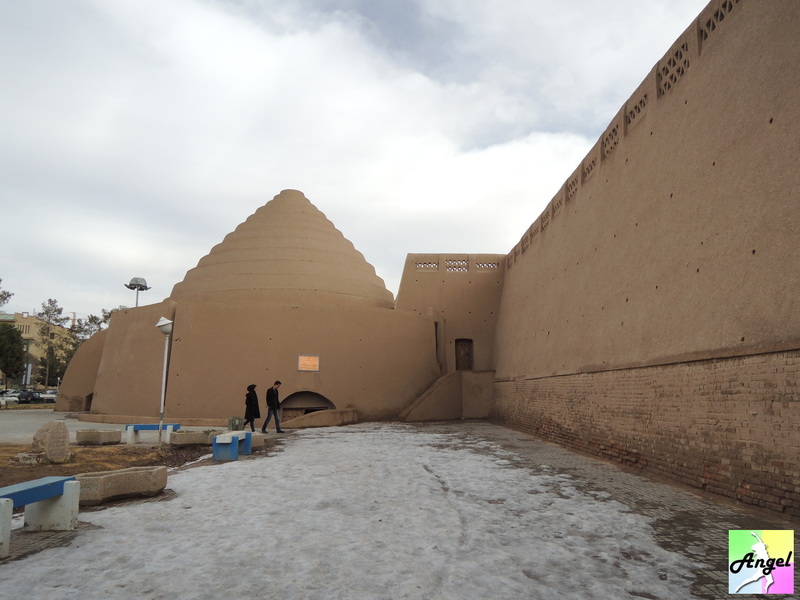 In summer Iran gets really high temperature, it has ice house (yakhchal) to preserve the ice. 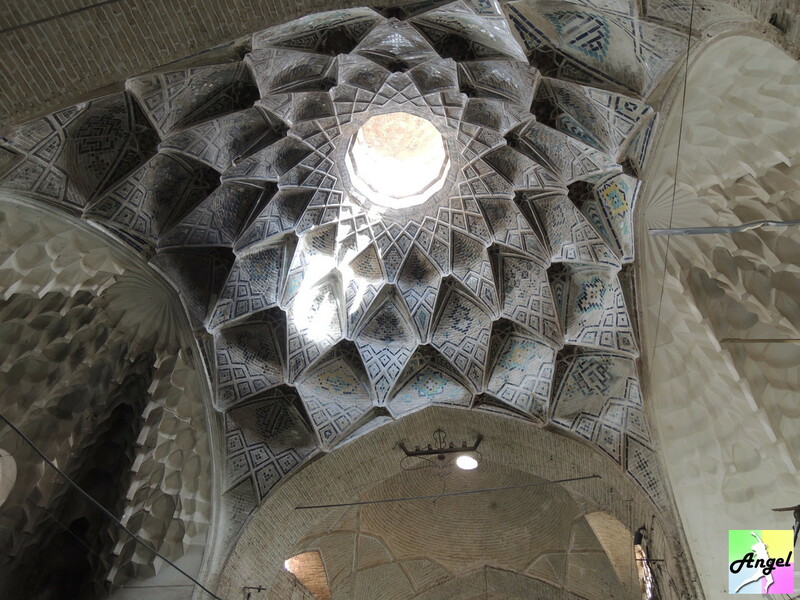 The ice house in Kerman is quite spectacular. There were people inside to guard and it was spacious. I like the ice house structure. 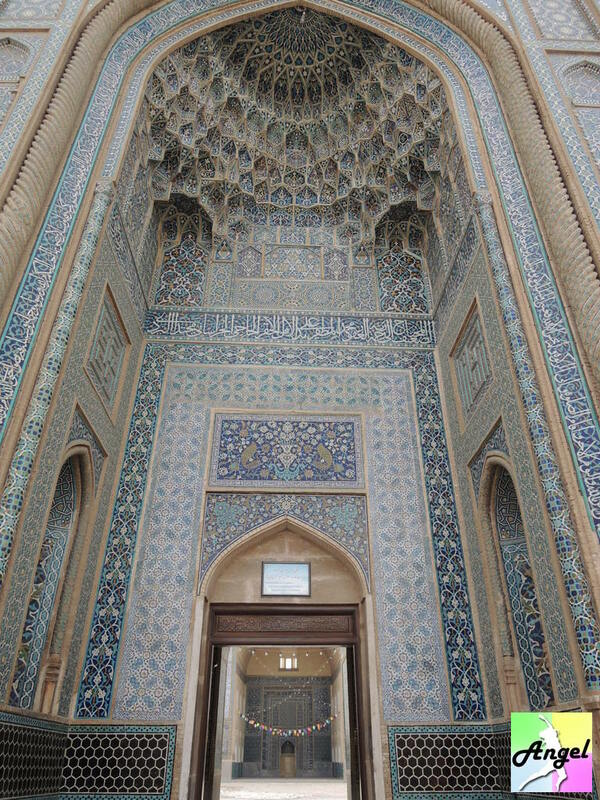 Other spots in Kerman include Jameh Mosque (Jameh’s meaning is friday). 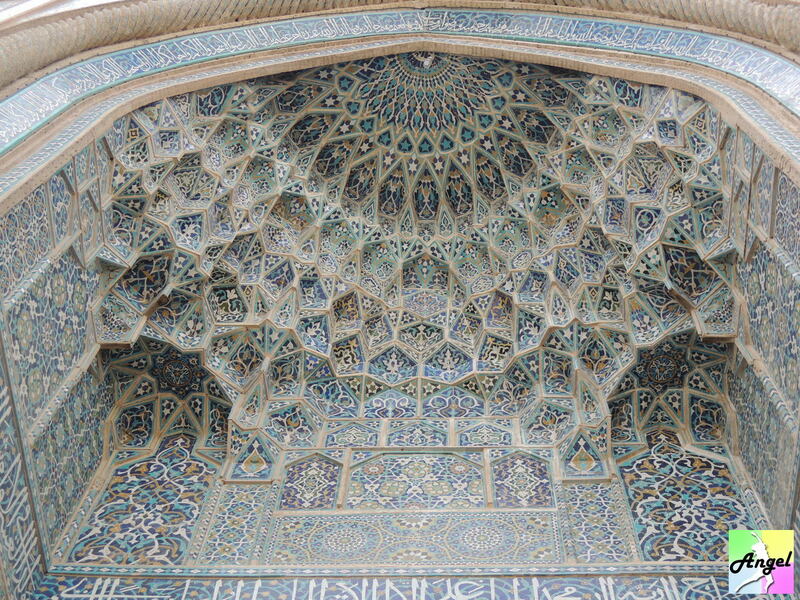 Their mosques are all gorgeous, you will be attracted by it color, symbols, shapes, symmetrical, etc. You will hardly able to leave because of that. 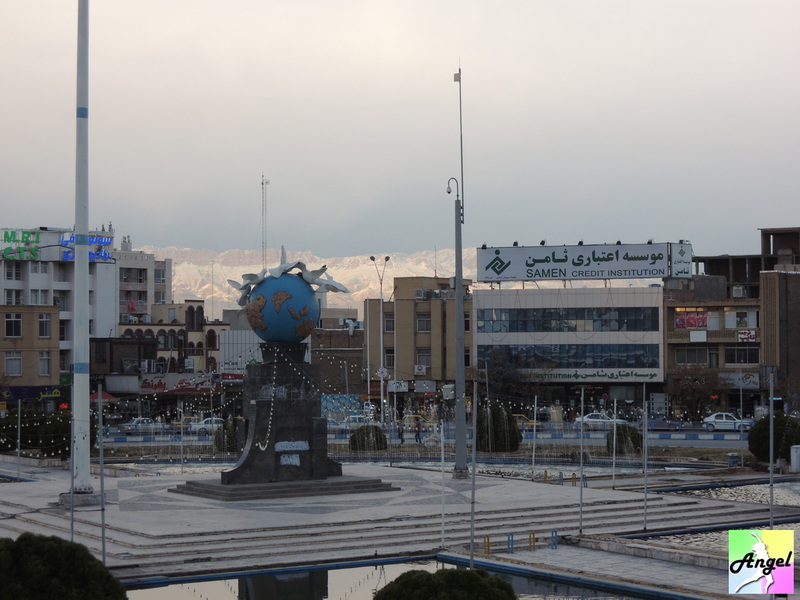 Kerman is planted with date trees, also in nearby city Bam. Meghdad’s business is selling dates. He got land for date trees in Bam. The sizes of dates are very large here. In Hong Kong the dates we ate is just a little tiny bit. Here you can see the dates with size similar to your last finger. One night, we went to nearby town Mahan. There was a very famous poet’s Shrine Shah Nematollah Vali Shrine. His body was there. Everyone who goes inside needs to take their shoes off. 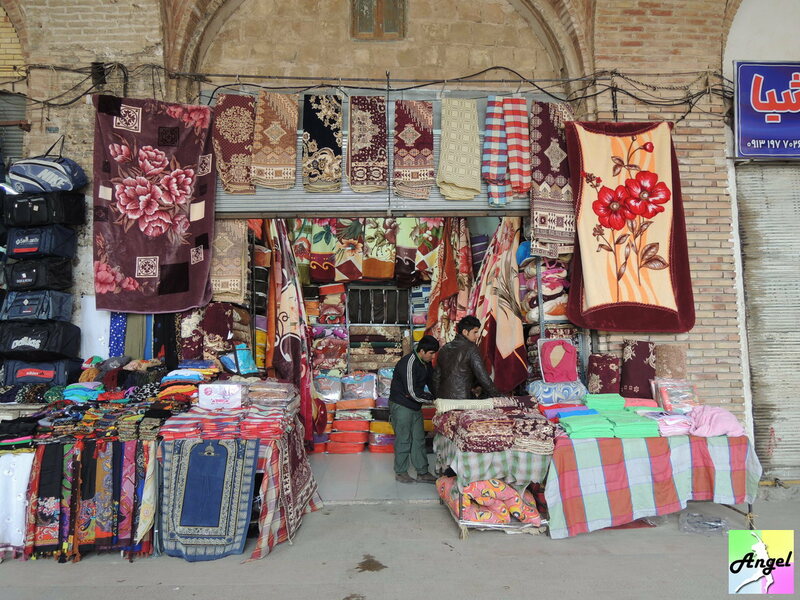 For ladies, they need to dress on the chador provided at the front door. The chador is very long and I needed to get hold of the remaining part that touched the floor, which was quite inconvenient. 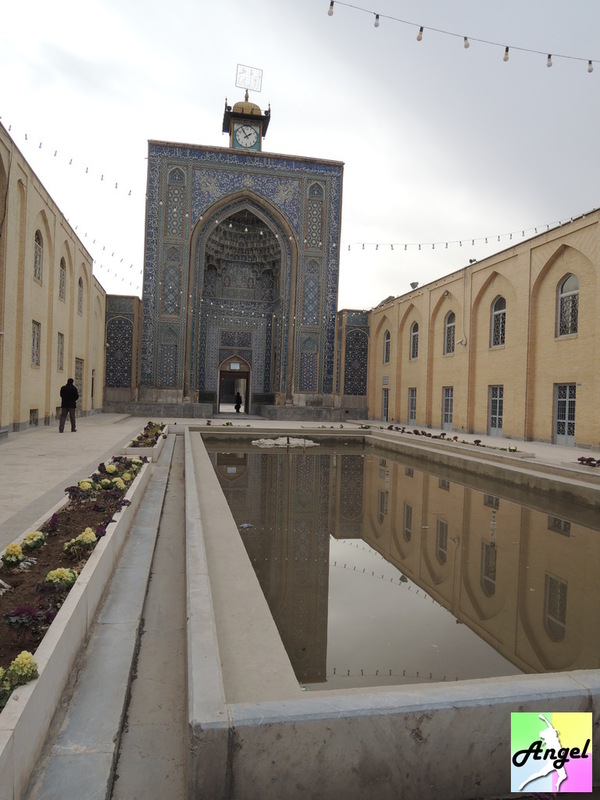 Green color is holy for Islamic, thus the mausoleum of Shah Nematollah Vali is also lightened with green. 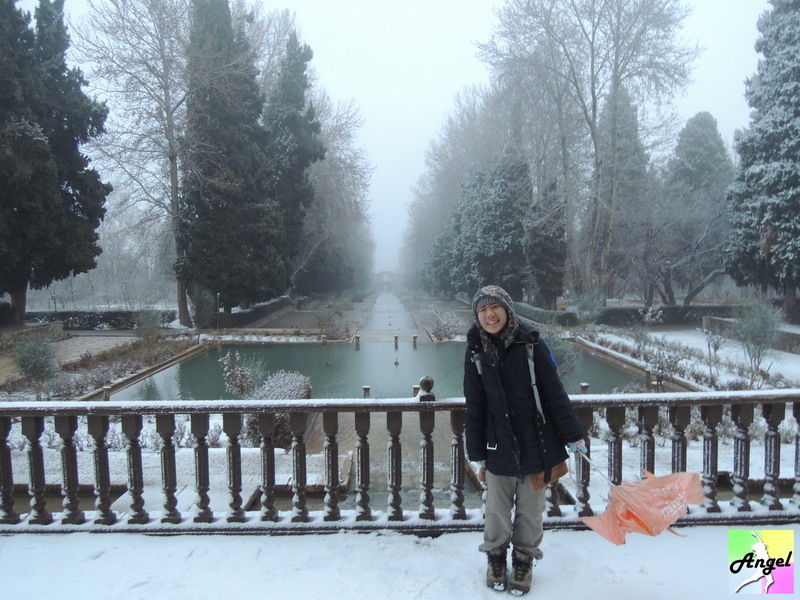 The weather was really cold that night, even snowing. When we arrived, it was getting dark. But this scenery was so unique, when you went to the 2nd floor and looked back to the entrance it was like a dream. It must be comfortable when it is autumn. 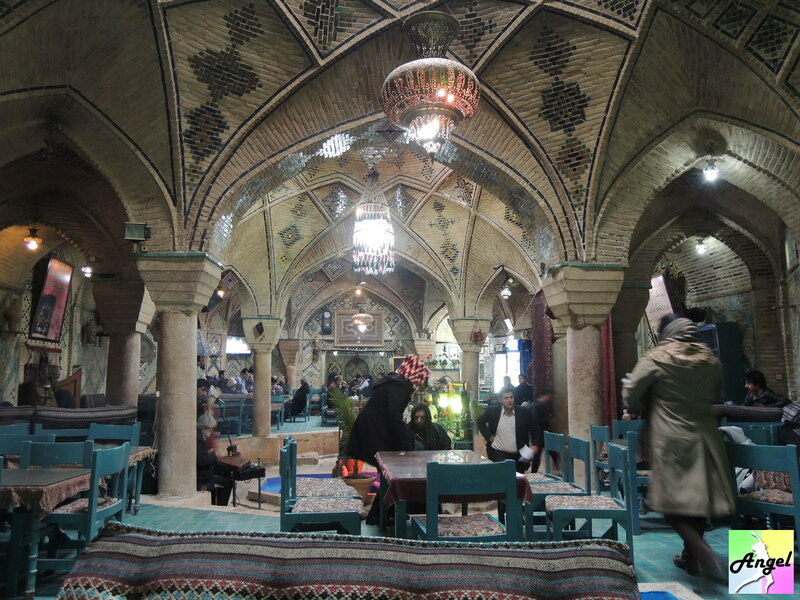 They have the tables which you will always see in iran’s tea house. The tables are much lower in height and covered with carpet. 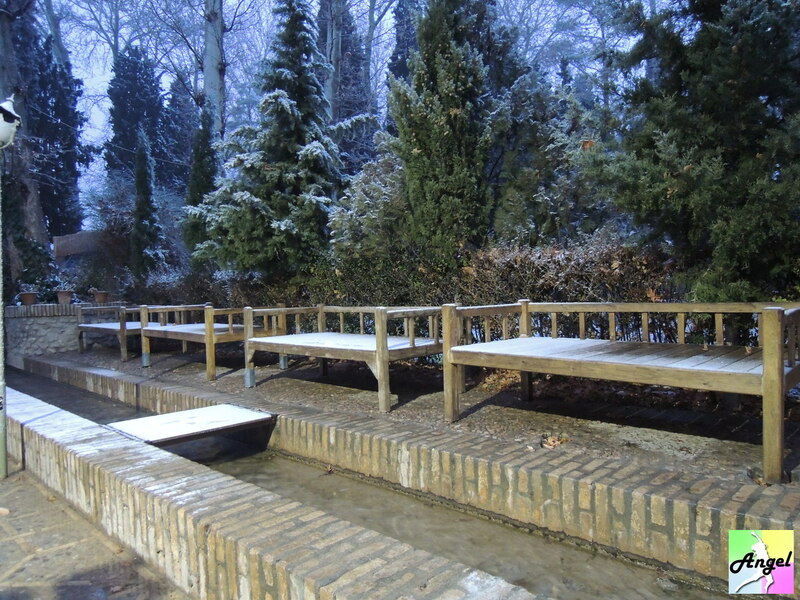 As now it was winter, they will use transparent plastic curtain around the table. Having the heater will make inside warm. People will sit inside and chat, eating food and drinking tea, or maybe shisha. 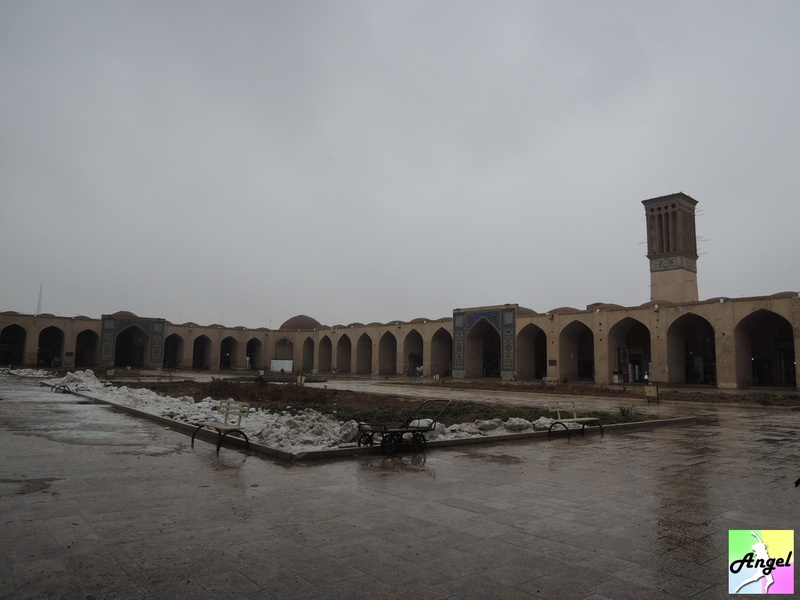 But the weather was really not good when we arrived, apart from us we could only see only 1-2 visitors. The house of Meghdad was comfy and we played together. 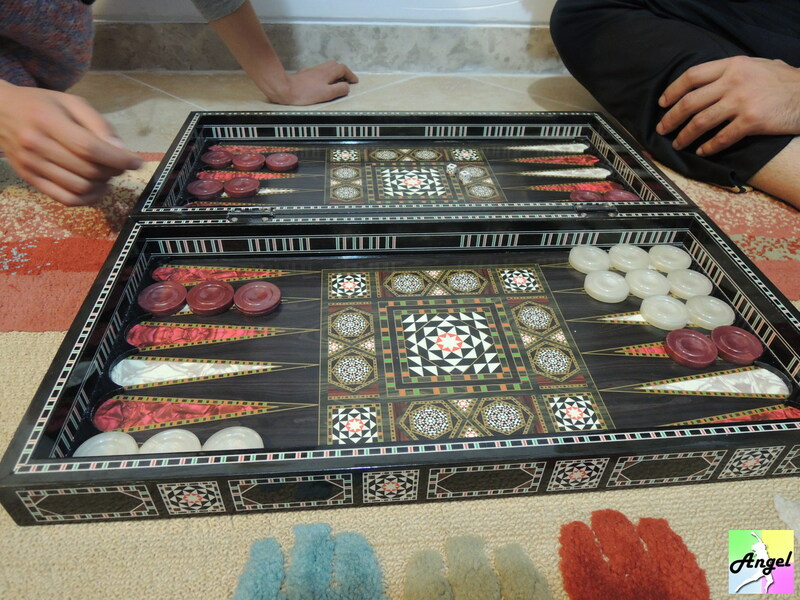 They introduced me with the board game popular in Iran, called table (takhte nard). This is a very ancient game. It looks simple but while you play you will know you need to use your knowledge to win this. They went to Malaysia before and bought chopsticks. I found this chance to teach them how to use them. For them it was difficult. They tried to use chopsticks to eat the peas with a little bit of clumsyness. This is the truth of cultural exchange~ Understanding the culture/food/language here, at the same time, I would like to share how my country is. This is the spirit of couchsurfing. On the other day we went to Bam, which is 3-4 hours of drive. Meghdad drove us to where we could get the share taxi to Bam. I and a Polish girl and two other strangers got one share taxi and went to Bam. 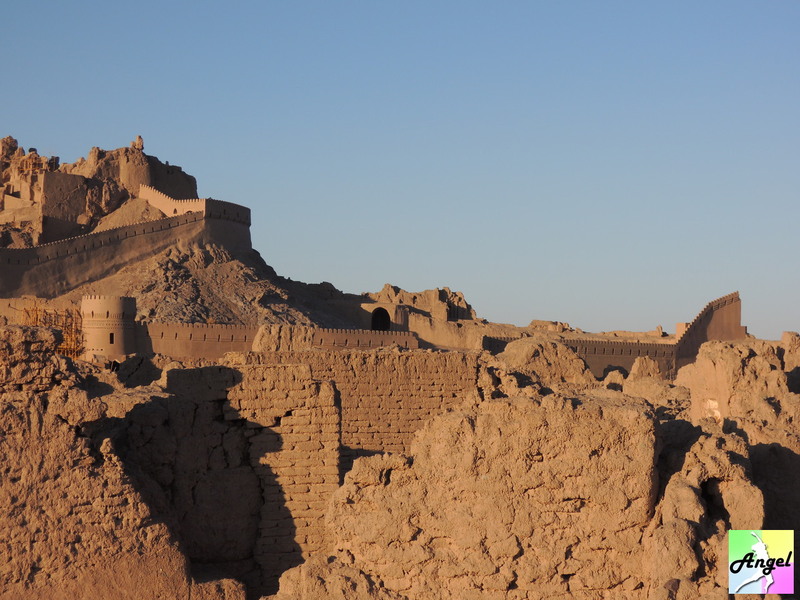 We went to Bam because of the castle Ancient Bam (Arg-e Bam) (IRR$150,000). Most of it was destroyed in 2003 because of the earthquake. After 10 years, online forums said it is reconstructed and worth a visit. That’s why we came to here. The weather was very good that day, All architect and wall with color of soil, walking from outside to very inside, the feeling is different in different places. There is another one called Arg-e Rayen which is smaller and similar. Suggested to go only one. 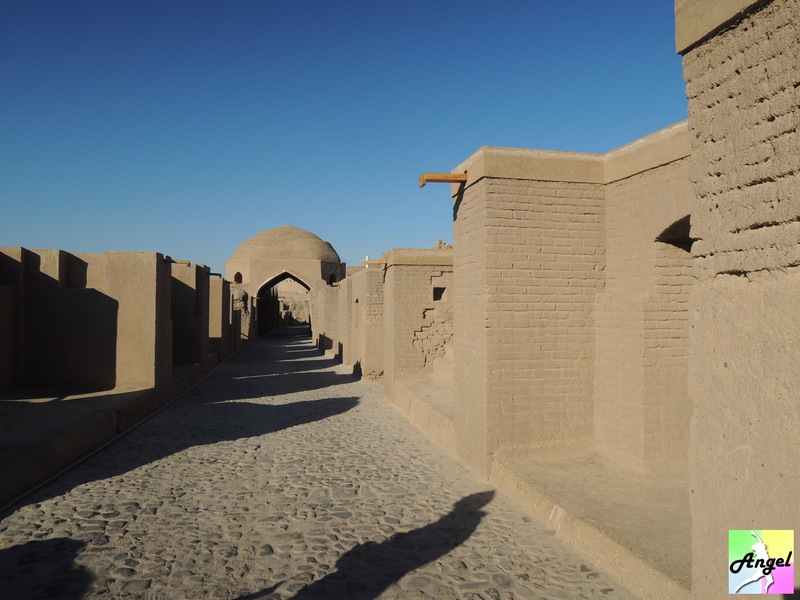 At last I needed to head to another city Yazd. 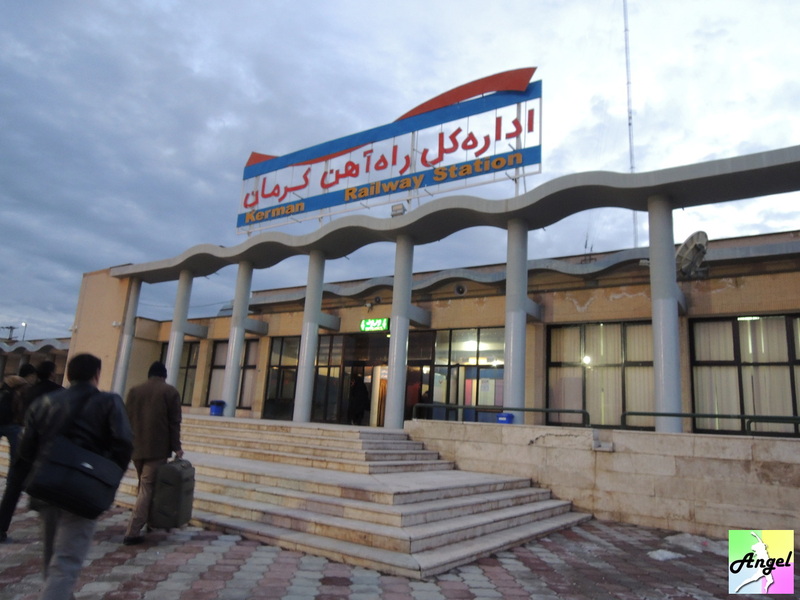 With the help of Meghdad, I bought a train ticket through agency. If you want to know how Iran’s train look like, you can go to here Clothing, food, living and transportation of Iran.